Step 2: Make sure installed Quick time player. Step 3: Create New Visual Basic Project, select Windows Application. Step 4: Select Component Tab in Toolbox, Right Click mouse and Select Add/Remove Items... , Select VideoEdit Gold Control. Step 5: Drag the VideoEdit Gold Control from Components Tab to form. Step 6: Add Button on form. Step 7: Add following code in Button click event. 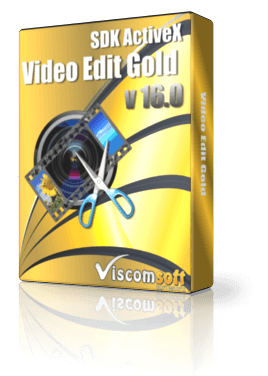 Step 8: double click the VideoEdit Gold control, add following code in Complete event. Step 9: Now you can run the sample.